MOSCOW, October 31. /TASS/. 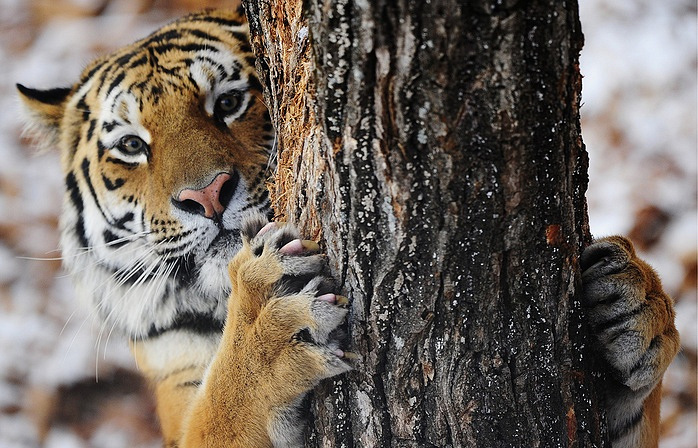 The Russian state prosecutor’s office has succeeded in limiting or barring access to more than 1,000 websites selling endangered species, Russian Prosecutor General Yury Chaika said at an extended board meeting for fauna protection. Prosecutors unearthed a total of 30,000 violations of Russian legislation protecting nature reserves and rare species living there, Chaika stated. The top prosecutor noted that the violations were linked to "illegal felling, poaching, land seizures and environmental pollution." "The courts have received almost 5,000 lawsuits to the tune of 132 mln rubles ($2.3 mln) seeking the recovery of damages inflicted on those irreplaceable ecosystems, and 180 criminal cases were launched on the basis of prosecutors’ materials," the prosecutor general reported.